I know this is a tad late, well, I actually refused to watch this movie a few months back because someone told me its a lot like the Twilight Saga which I utterly hate; I hated the book and I absolutely loathe the movies. I can’t stand Kristine Stewart’s portrayal of Bella Swan makes me want to throw her an inhaler since she seemed to be out of breath and about to have an asthma attack all the time. So you can imagine why I didn’t want to even try watching this movie. Anywhoo, someone just recently informed me that its nothing like Twilight so I took the chance, I liked the trailer I saw on Youtube but was really put off by the Twilight comment. I also wanted to read the book but seeing Stephanie Meyer’s comment about it made me apprehensive. Not that I hate love stories, because I sometimes do (e.g. Daniel Steele, Barbara Cartland and Nicholas Sparks) I just don’t like sappy ones. And I love the vampire genre too, but my vampires are more on the mythology created by Anne Rice. So, I finally got to watch this movie and my friend was right, it was nothing like Twilight at all. Well, I liked the originally of the concept on the Crusaders asking an angel for help during the champagne and said angel poured out his (I always refer to angels as his because I have never seen any Biblical reference to any female angels) own blood on a cup and gave it to the Crusaders to drink from. And anyone who drank his blood was turned into half angel and half human able to see and fight off demons. A good catch though is that they still remain mortal enough to die. Now these people were then called Shadowhunters because they can see what is unseen by normal people called mundies. 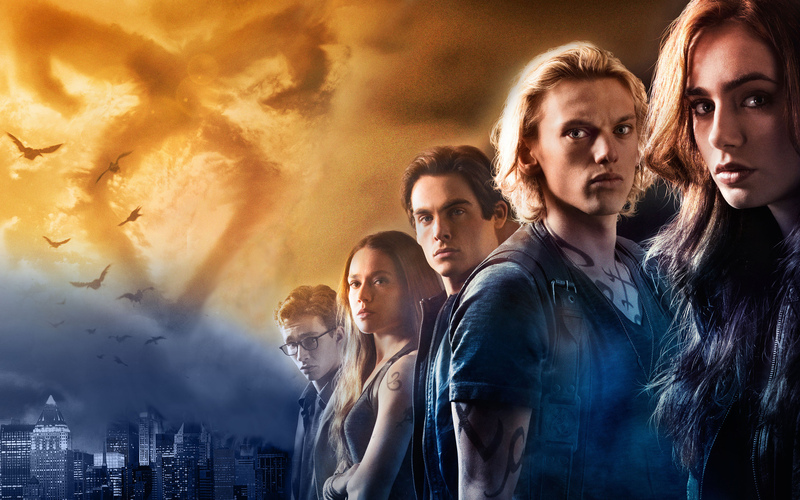 There are two ways in which Shadowhunters are created, either they were born to parents who are Shadowhunters themselves or they are made, by allowing that person to drink from the Mortal Cup. Don’t know how that works really since the angel was only supposed to have given his blood once; since there was no blessing given to the cup itself for it how the power to turn ordinary humans into Nephilim (half angel, half human). But the deal is that the transition had to be done in childhood as adults who drink from the cup rarely survive; also only selected humans are able to be turned into Nephilim or they die. But I liked the concept, I’m trying to read the books now hoping to understand this concept better and find some explanation for the cup’s “holy” changing properties. And IMHO that was the only thing original in the story, sad to say. The story was basically a mix of Harry Potter (the use of magic and runes to fight their enemies and tap into the world of the supernatural), Underworld (the fight with guns and swords) and Star Wars (the leads who first fell in love with each other turned out to be siblings – Clary (Princess Leah) and Jace (Luke Skywalker); they got separated during infancy and whose Dad turned out to be the villain, Valentine (Darth Bader). See the pattern? But entertainment-wise the movie was decent and greatly entertaining. As I mentioned earlier I’m reading the book now hoping to see more into the story as only books can do and hopefully, I will like this story better. Wish me luck on that. This entry was posted on November 25, 2013 at 4:54 am and is filed under Movies with tags City of Bones, Clary, Mortal Instruments. You can follow any responses to this entry through the RSS 2.0 feed. You can leave a response, or trackback from your own site.